A partially clothed woman later died after she was found unresponsive in a packed plane’s bathroom . Some passengers criticized the way they removed her from the flight. 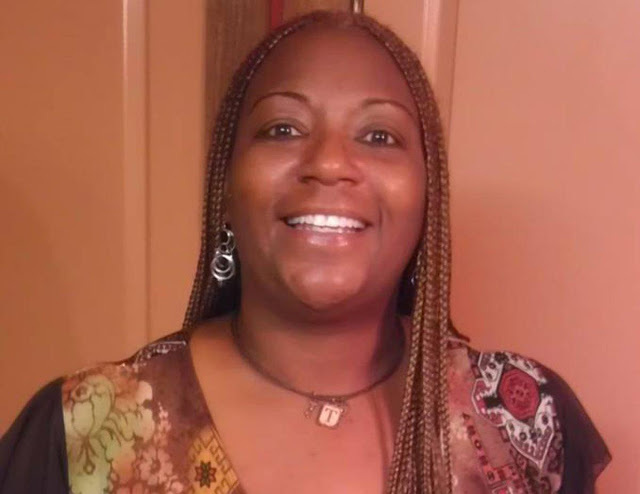 Theresa Hines, 48, of Carrollton, Tex died shortly after emergency workers found her unresponsive in the bathroom of an American Airlines Boeing 737 en route from Dallas/Fort Worth International Airport to Minneapolis-St. Paul International Airport. Ross Feinstein, an American Airlines spokesman, said in a statement to the Daily News the airline crew onboard provided medical assistance to Hines, who they described was “in medical distress” before landing. “From our standpoint everything was handled according to the textbook,” airport spokesman Pat Hogan told The Associated Press. However,passenger Art Endress said they crossed the line when they “dragged her down the aisle” while not covering her. Her cause of death wasn’t immediately known.